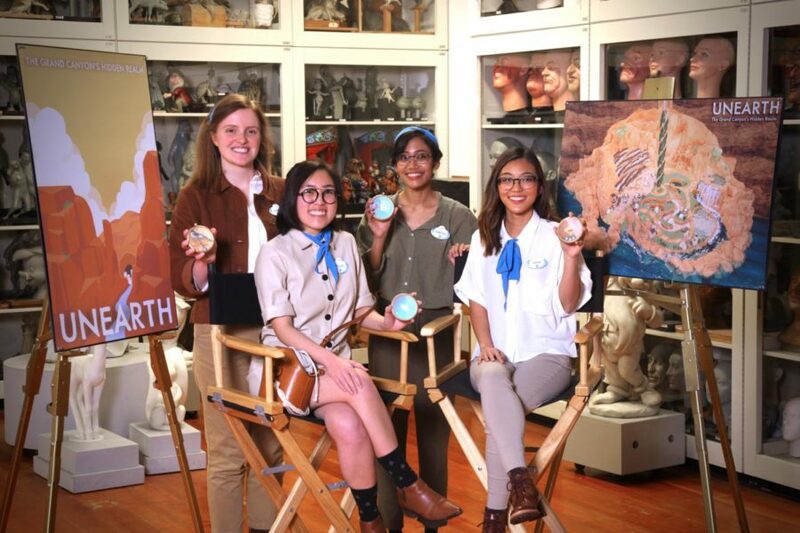 Team members Hannah Williams, Kellie Nguyen, Vanessa Astronoto and Quan Ha, compete in the Walt Disney Imagineering Imaginations Design Competition in Los Angeles with their entry, Unearth. The theme of the competition is natural or ancient wonders of the world. Williams is a 2014 graduate of Coppell High School. Though she never took an architecture class, 2014 Coppell High School graduate Hannah Williams found herself gravitating towards the beauty of buildings and construction from a young age and eventually wound up becoming a finalist in the Walt Disney Imagineering Imaginations Design competition . After hearing about the competition through career services at the University of Texas at Austin, Williams knew she had to join. The challenge of the competition was to emulate the beauty of these natural wonders, some of which are remote or no longer in existence, and make it accessible to families while simultaneously respecting the people, history and local rules. Williams’ team’s project focuses on the untold story of the Grand Canyon and takes the viewers on a journey through the Colorado River. Williams’ and her team members have diligently and collaboratively worked to create their project. Hannah’s passion and interest has made an impact among her team members. The position as a Walt Disney Imagineering Imaginations Design can open many pathways for competitors, including an animator, architect, engineer, game designer, illustrator, interior designer and much more. Additionally, the top three teams will win a cash award and the opportunity to network with current Imagineers. Williams’ talent has also enabled her and her team to win awards such as the Urban Design award at Future Architects Design Competition which design Dallas’ bullet train station. As a young child, Williams was fascinated by architects and architecture, but did not think of becoming an architect. Hannah attended Coppell Middle School North. After taking AP art history and IB visual arts at CHS, Hannah’s love for architecture grew and solidified. Even though Hannah had a passion for architecture, she did not initially have the specific artistic skills to be an architect. During her time as a CHS student, current classes such as Principles of Architecture and Principles of Construction were not offered, as architecture was such a specialized career. 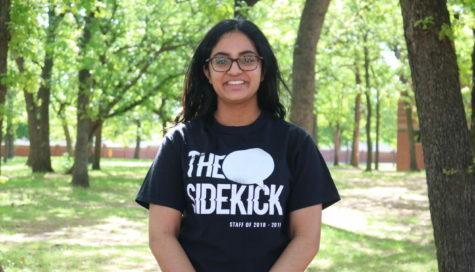 Due to this, her interest in architecture was hard to express and was often received with surprise when she stated she would be attending UT to pursue it. Williams is currently in her fifth and final year in the UT School of Architecture program. Regardless of the challenge or project presented, the aptitude that radiates from the passion Hannah exhibits allows her to conquer the obstacles she is faced with, including the hundreds of competitors her team beat to become a finalist in the Walt Disney Imagineering Imaginations Design competition.